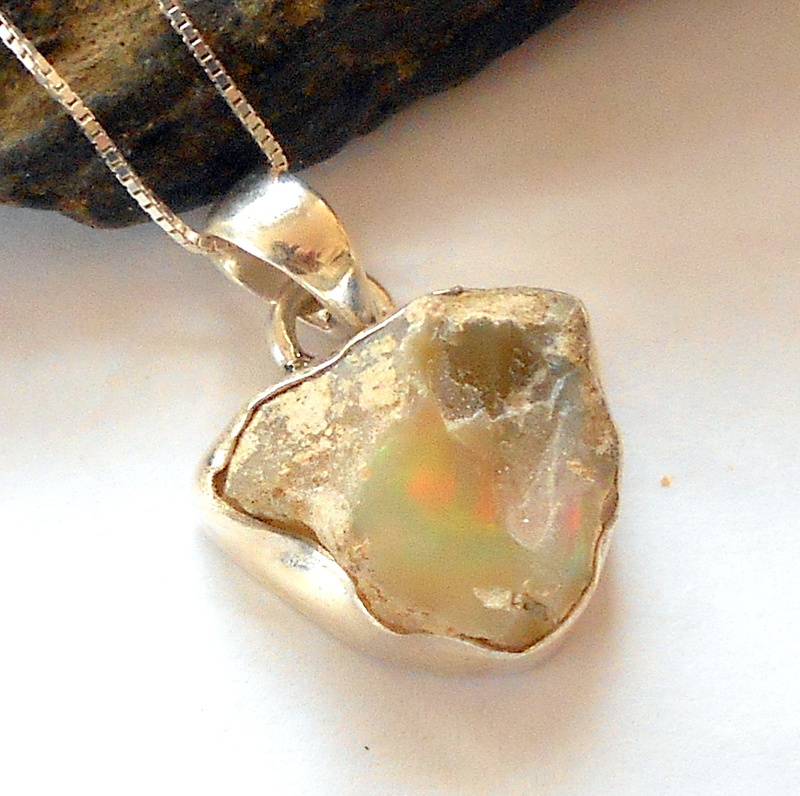 Raw Ethiopian opal gemstone set on a sterling silver necklace. 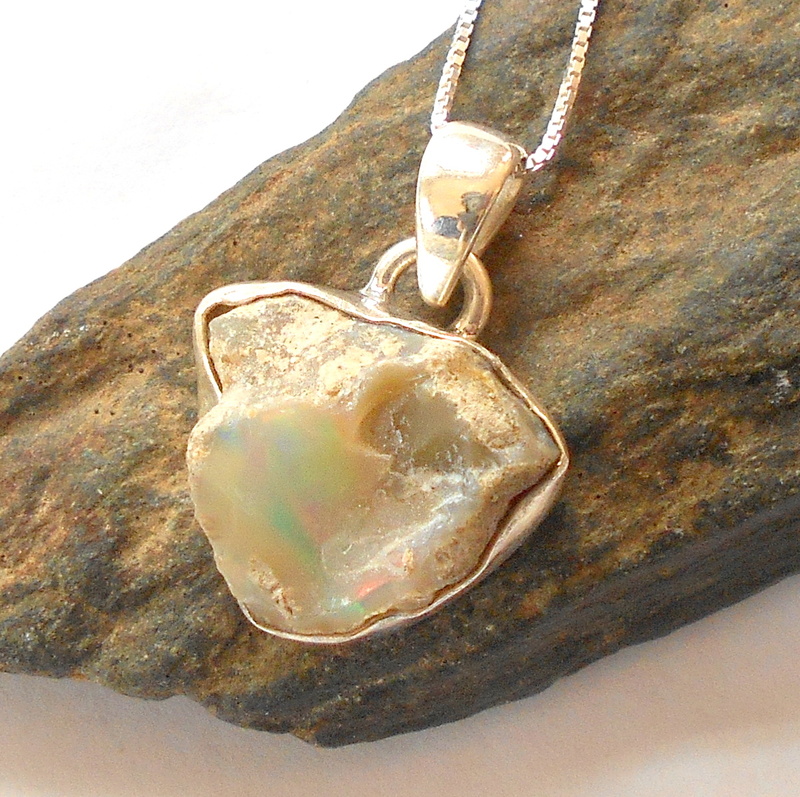 Opal is the October birthstone. Opal is associated with love, passion, and eroticism, known for intensifying emotions and releasing inhibitions. It is a strong protective stone, useful for entering dangerous situations. It brings loyalty, faithfulness, and spontaneity into romantic relationships. Opal gemstones strengthen the will to live and have extensive healing powers and energy. 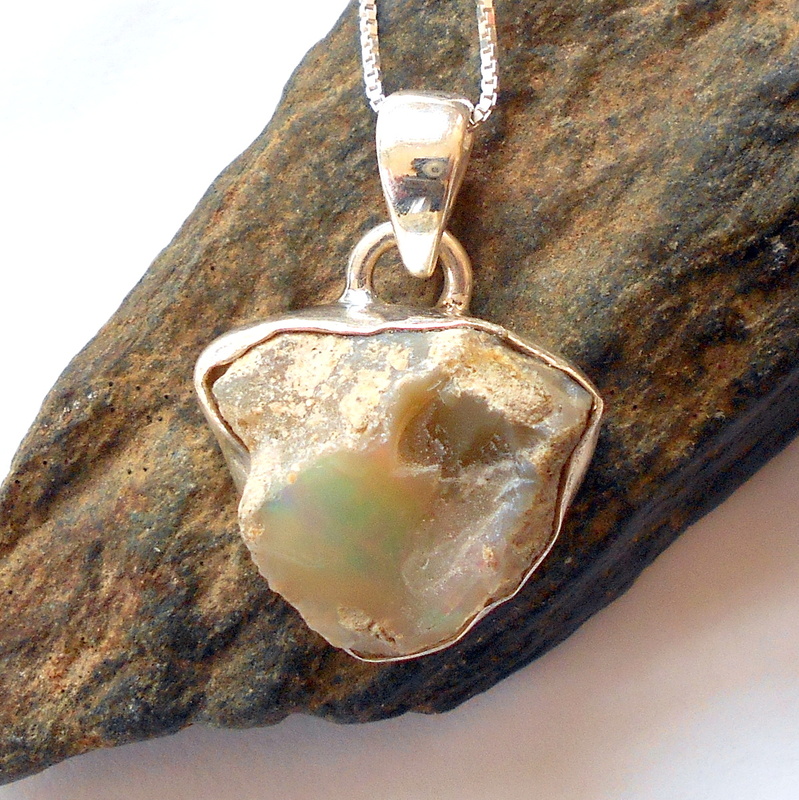 Opals are excellent for infections, childbirth, vision, and the blood. Note: Ethiopian opals change color with water, they can become temporarily colorless when immersed or in a humid environment. Once they dry out again their color returns naturally and will range from opaque whites to oranges. 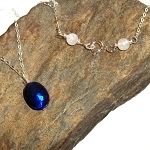 Overall pendant drop length 1 inch. Necklace is finished in sterling silver, total length 18 inches.